japanese anime, nakayoshi, comic, manga, 1990s, 1993, furoku, kawaii, sailor moon. YOU WILL RECEIVE THE SET IN THE PHOTOS. PLEASE NOTE BEFORE PURCHASING: THE ITEMS ARE NEW HOWEVER, DUE TO AGE AND HANDLING, THERE IS SOME WEAR AND AGING. THE COVER HAS NOTICEABLE SCRATCH MARKS. THE PAPER MAY HAVE AGED SLIGHTLY. Here the Sailor Moon Set for Nakayoshi Comics. It was released in April 1993. The cover is made of soft plastic and both books are softbacks. 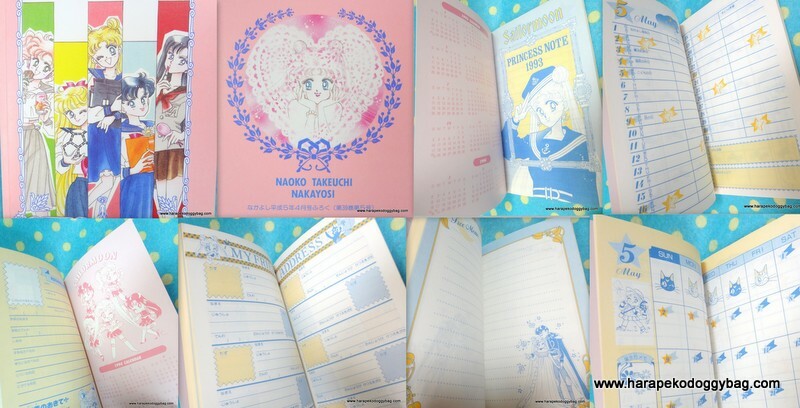 1 x Princess Note which is a diary-like book. 1 x Official Fanbook which is a slim book about the anime. Keywords: japanese anime, nakayoshi, comic, manga, 1990s, 1993, furoku, kawaii, sailor moon. Below are photos showing some sample pages from the Princess Note. Below are photos showing some sample pages from the Official Fanbook.